As summer dwindles and families return from various vacation experiences, back-to-school shopping is ramping up. 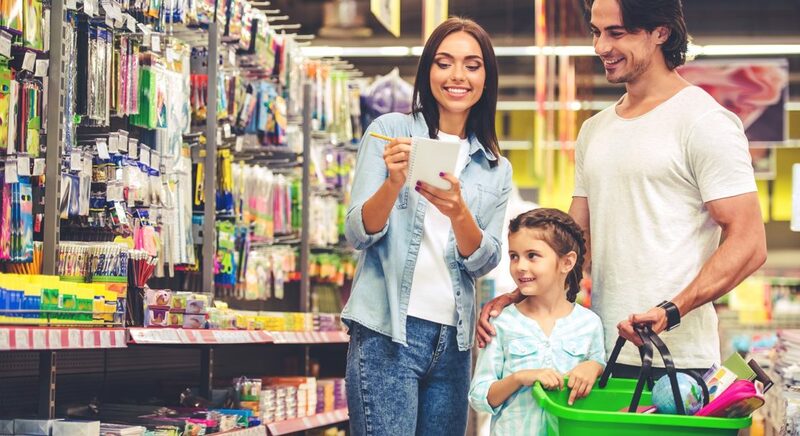 Deloitte’s 11th annual back-to-school shopping trends survey identified this time of year as the second-biggest shopping season with the average household spending $510 on school supplies, accessories, and clothing in the coming weeks. If you are one of them, below are some simple savings tips that could help reduce spending during your back-to-school shopping frenzy. Before heading out to the stores, scavenge the house. Taking advantage of unused school supplies and materials such as backpacks, pencils, and folders can be the simplest and most effective savings method heading into the 2018 school year. Your cost-cutting scavenger hunt may provide surprising results, as unused school supplies lying around the house begin to pile up. Kids need pencils galore throughout the year. Shopping at wholesale warehouse stores such as Sam’s Club or Costco that specialize in bulk purchases can yield savings opportunities that will continue to pay off throughout the school year. Partnering with other families whose classroom supply lists include similar items is a good option for even more bulk-buying opportunities. Take advantage of your state’s tax-free weekend toward the end of summer. Many states, Virginia included, eliminate the sales tax on essential school supplies, clothing, and technology to provide instant savings. Virginia’s three-day sales tax holiday begins Friday, August 3, and runs through Sunday at 11:59 p.m. Typically, big-ticket items will provide the most significant savings opportunities during back-to-school shopping. These can include laptops, tablets, graphing calculators, or other high-priced necessities. Companies commonly offer deals this time of year to attract back-to-school buyers. Carefully review your student’s supplies list and do some online research to identify the best deals. Focusing your time on finding one great deal on a big-ticket item may ultimately be more beneficial than running from store to store for multiple small purchases. These kid-friendly accounts are easy to manage and can be the gateway to delivering important saving and budgeting lessons that your children will carry with them forever. It probably goes without saying, but we here at Member One are pretty keen on savings—a healthy nest egg, an emergency fund, IRAs… you get the point. Here’s a four-step approach for educating your kids on healthy holiday spending. Many credit cards and department stores offer points and cash-back programs to reward you for purchases. Take a look at your account to identify these opportunities for back-to-school supplies. You may be surprised at the variety of products offered through these programs. Additionally, be sure to purchase school supplies in-store with credit cards that have a good rewards program. If you are required to make these back-to-school purchases, you might as well earn rewards for the dollars you spend! With a little planning, you can purchase all of your child’s school supplies while sticking to a budget. Do your research on big-ticket items, keep a close eye on back-to-school deals in the coming weeks, and make your purchases during the tax-free holiday weekend. Simplify your shopping with these easy tips and you’ll reap the rewards as you prepare to send your kids back to school.